This site provides a number Google Earth KMZ files to download and use in Google Earth 5 or later. They demonstrate various options for presentation of research arising from this Project. They have recently been UPDATED and EXPANDED. This KMZ Waypoint File provides a "View" of the geographic region where the Shu Roads and Plank Roads are found. Older KMZ file. (Recommend you "right click" on hyperlink and use "Save Target as..." to download. KMZ file of waypoints, tracks and routes in "GPS" structure. 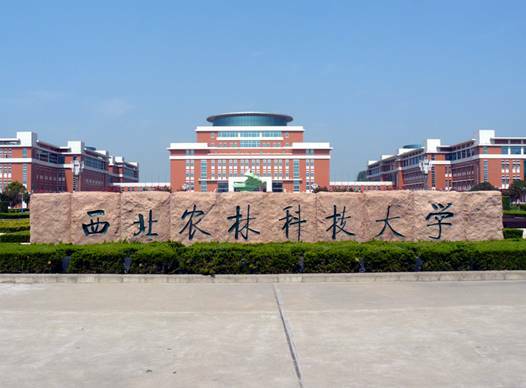 Records the major Shu roads as a demonstration for a time based information system. The places all have connections with Shu and Plank Roads. 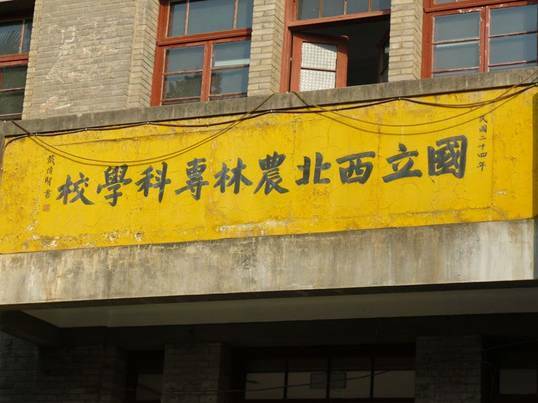 Place names are Chinese characters but Pinyin names are in the information box. This is a significantly updated (2012) version using Network Links. (Recommend you "right click" on hyperlink and use "Save Target as... " to download. KMZ file of a network link to a SuperOverlay of a digital terrain image combining altitude, slope and curvature in a colour composite. 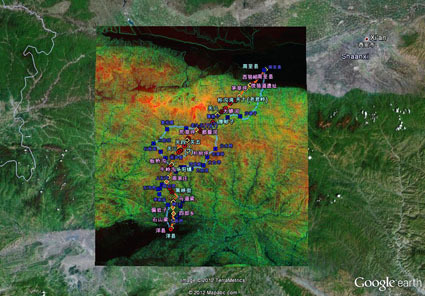 It demonstrates the use of the technology in the Shimen area and is provided with a Russian Topographic map below to illustrate image matching and GIS processing. This is a NEW (2012) addition. KMZ file of a Russian Topographic Map at 1:100k scale from aerial photography taken in the 1960’s before the Shimen dam was built. It is being used with Digital Terrain Information to construct a model for the Stone Gate area. This is a NEW (2012) addition to the KMZ set. Zip file of five Russian Topographic Mosaics as KMZ files based on map sheets at 1:200k scale. The data were obtained from aerial photography in the 1960’s. The presentation uses super overlays and network links. The two most northerly mosaics cover the Tangluo Road region. This is an update as of December 2012. 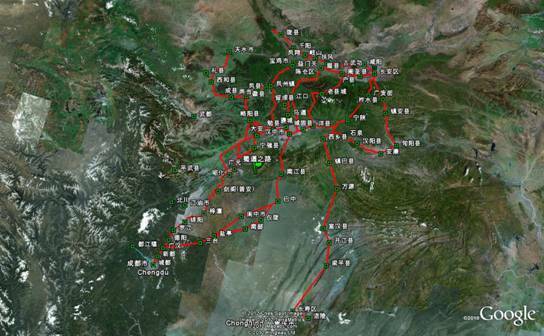 KMZ file containing places and tracks on the Ancient Tangluo Road between Yangxian and Zhouzhi. This map uses information from Sir Eric Teichman (who travelled here in 1917) and a paper by Zhou Zhongqing published by the Hanzhong Museum. For more information see HERE! The KMZ file covers Teichman's route, Zhou's main route and alternative routes. This is an UPDATED item posted in May 2013. KMZ file containing SRTM based digital terrain model with height, slope and curvature that enhances stream lines, ridge lines, hills and valleys. This image with GE terrain allows accurate and detailed 3D appreciation of the route. For more information see HERE! This is a NEW item posted in April 2013. A set of Photographs, some way points and the track that people took during field work visits to inventory relics and relic condition. The first Photo-route is at Tianxiong Pass south of Zhaohua near Guangyuan in Sichuan. 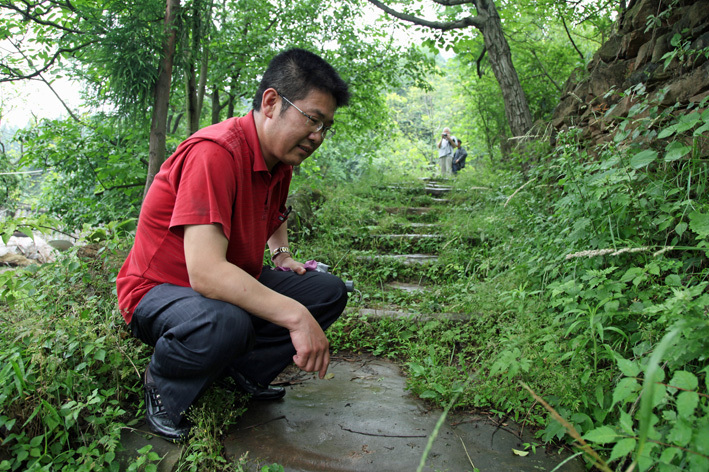 The second is a hike from Baocheng to Stone Gate via Jitou Pass at the exit of the Bao River onto the Hanzhong Plain. Both are famous historical barrier passes. 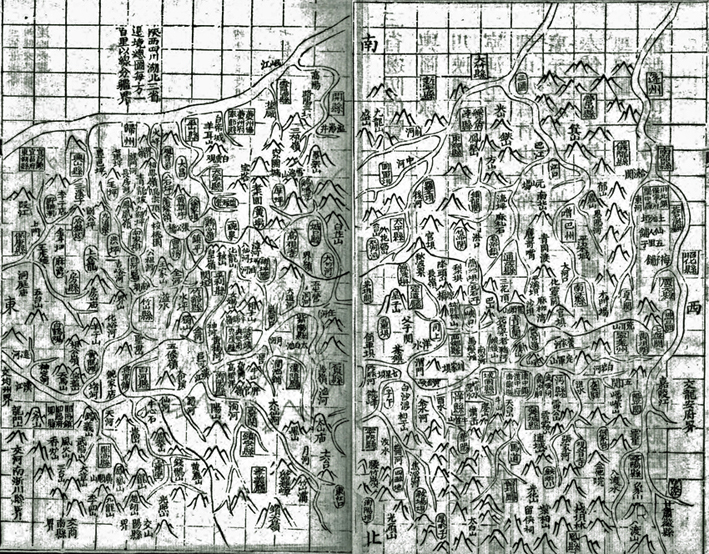 Between 1813 and 1822 under the guidance of the Qing Scholar Official Yan Ruyi, Prefect of Hanzhong, a wide range of maps of the Han River catchment area in Shaanxi, Gansu, Hubei and Sichuan were produced. 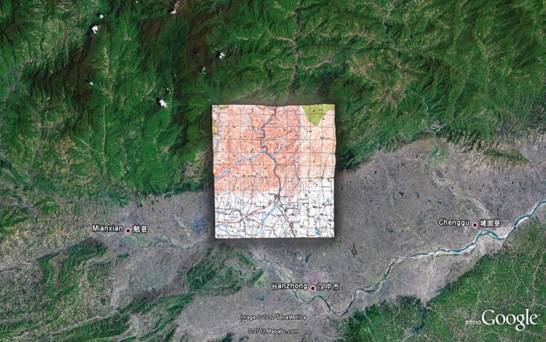 This Zip file contains an introduction and 6 KMZ files that investigate the scaling of these maps in Google Earth. The maps and journey distances in the associated publications can be used to establish Shu Road paths still in use at the time. 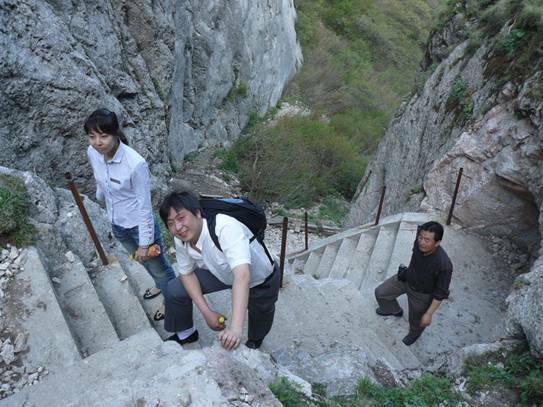 Photograph shows a welcome set of steps on the way up Zibai (Purple Cedar) Mountain. The mountain is near the Zhang Liang Temple and reaches to about 2500m. 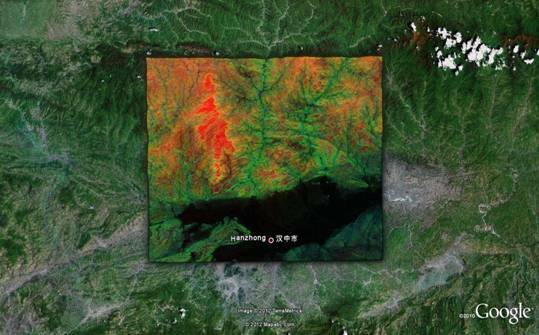 The GPS Track is being used to compare SRTM, GPS and Russian Topographic maps. 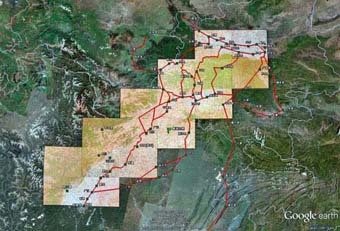 The photographs are located on this web site and can be viewed using Google Earth. (See May 2008 Report). Recently(2012) updated KMZ file. Frank Moore is an Australian who lived in Hanzhong as a child. 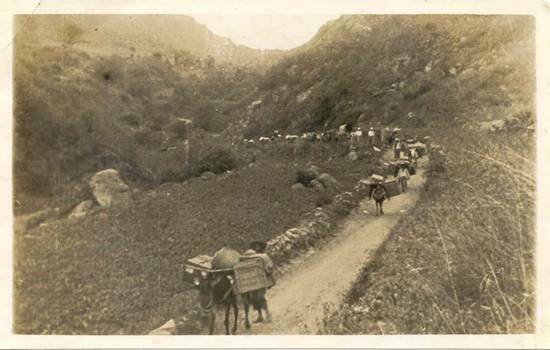 His parents were missionaries who walked in to Hanzhong along this road in the 1930s. 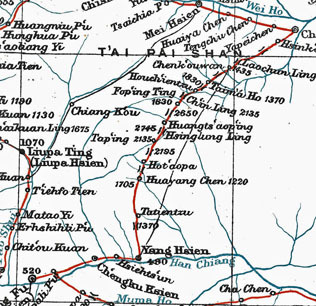 This KMZ file of the route was extracted with Pinyin names to provide a map and places of interest along the way they took. Yangling in Shaanxi Province, PR China is an Agricultural High Technology area. It is home to the historic Northwest Agricultural & Forestry Technology University. This KMZ file present s a walk in the North Campus and a journey to work using GE and photographs. The photographs are on the web. This is a recently updated (2012) presentation. The North West Agricultural and Forestry University has a recently built South Campus as well. In July 2011, David Jupp and three post-graduate students took a walk in the south campus. The day was hot so they happily called a halt when "enough" was declared. But this was not until the south campus had been well sampled. Recently Updated (2012) using Network Links. 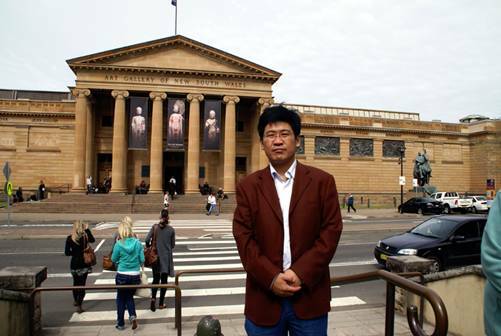 Feng Suiping outside the Art Gallery of NSW. 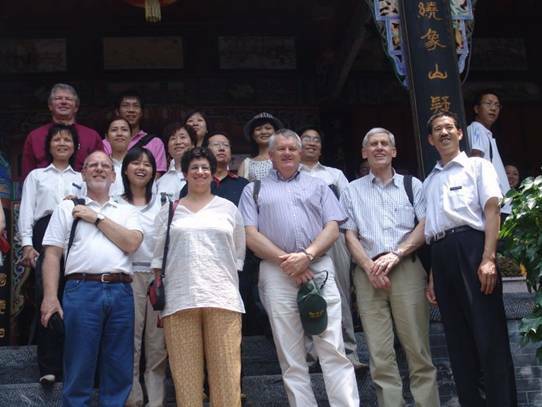 Between September 4 and September 18 2008, Feng Suiping, Lu Hanjun (Hanzhong Museum) and Li Rui and Xin Juxiang (Yangling) visited Australia. The activities of the journey can be followed using the KMZ file to be found here. Updated (2012) using Network Links. A set of waypoints, earthquake centres and some tracks and routes used in Reports that are available at this site. 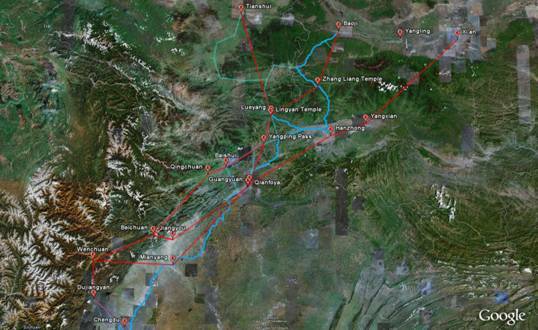 It looks at the Wenchuan earthquake and its impact on the Shu roads. 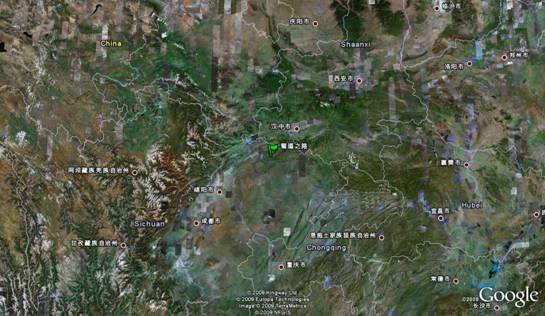 Includes after shocks up to August 5, 2008 in Qingchuan and Ningqiang counties. Now an Older KMZ file provided for reference. The Google Earth Files are provided as KMZ files, or compressed KML files. They have also been wrapped as "zip" files in order to prevent your computer trying to open them immediately into Google Earth across the web link or mistaking the kmz files for zip files. If you "click" on the highlighted titles you will normally be asked if you wish to save the file or open it. It is best to choose to save to your disk. There have been cases where the tool has opened the zip folder. In that case the KMZ file can be dragged to the desk top using Explorer. Once on your computer, the KMZ file should be extracted from the zip file. If you do not have Google Earth please go to http://earth.google.com/ and download the latest version. The KMZ files can be opened in Google Earth or dragged and dropped into an open Google Earth application. It is convenient on Windows systems to associate the extents "KML" and "KMZ" with Google Earth in which case a "double click" on a KMZ or a KML file will open it in Google Earth for you. NOTE: The Google Earth "Time slider Bar" has, in the past, created problems with collections of GPS Tracks which were often invisible when the file was opened. The versions on this page have been updated to take advantage of improvements in Google Earth 5.0 and later versions. You should use the latest. If there are problems please contact dlbjupp@ozemail.com.au.